Wood is a challenging substrate if you don´t know how to deal with it. There are over 200 extractives in wood. In wood knots, the concentration of extractives can be a hundred times higher than in the other parts of the wood. We are lucky to be neighbors with Åbo Akademi university, which does world leading research in this area. Our latest innovation – CHP 581 – chemically locks the extractives present in wood and allows for the top coat to do its job. CHP 581 can be used as a primer both indoors and outdoors, thanks to optimization of the water uptake properties in the polymer. 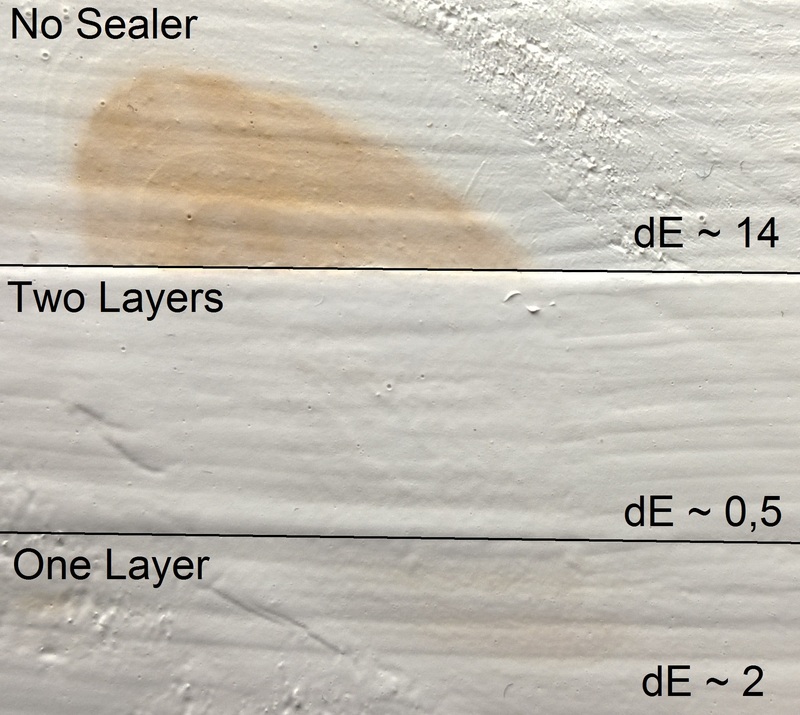 Adhesion on wood is exceptional! We have exposure data on cladding with very good results, using our CHP 559 as a top coat. A more conventional use is for trims or other interior wood objects. See picture for performance! Which one would you choose?